Tucked behind Holborn Tube Station, is a cute little pub called The Ship Tavern. With 500 years worth of history behind it, we was very excited to visit one of London's longest standing pubs. The historical tavern has been standing since Henry VIII was the King of England. 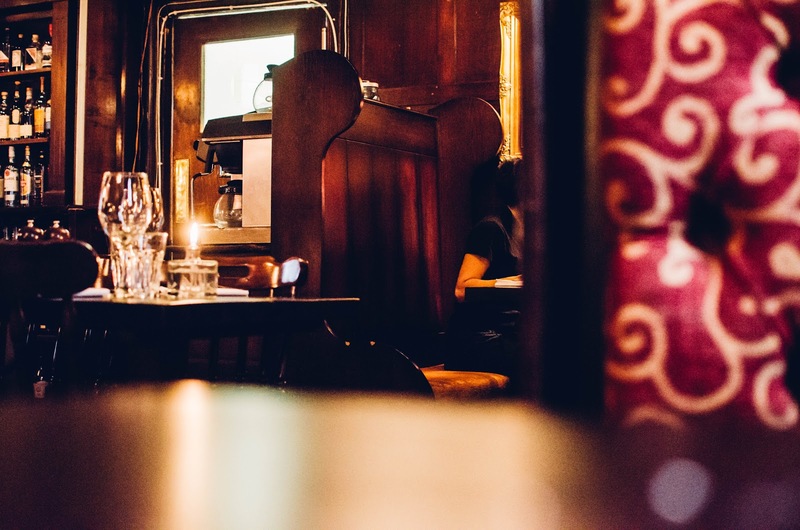 Catholic priests would take shelter inside The Ship Tavern's 'hidey-holes' in fear of being caught by the King and persecuted for simply being Roman Catholic. 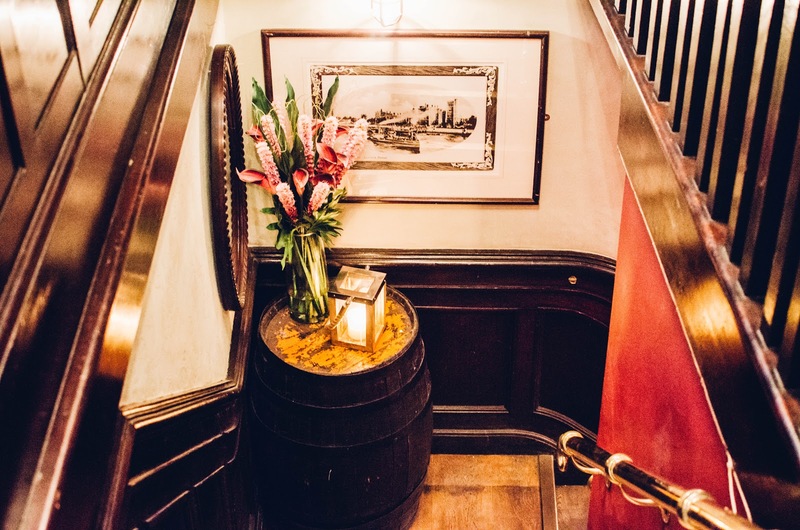 These 'hidey holes' are still in place around the pub today and it has been said that you can hear the moans of upset priests within the walls. SUPER scary! It was quite a grey day in London on Easter Sunday as you can see from my latest outfit post so it was an utter treat for me and my mum to get out of the cold and be welcomed into one of the cosiest and welcoming little hideaways. The table was reserved for us at 3pm and we arrived on the dot. We were greeted by a friendly waitress who showed us to our seat which indeed had been reserved so no complications arised... especially on a busy Bank Holiday weekend! I think we both had it in our heads that we wanted to go for a traditional Sunday lunch as I had been craving one for weeks! However, we both had to pick starters first. There is a wide range of different starters available including seared scallops, rock oysters and wild mushrooms with brandy. However, we both decided to go for soup of the day! This particular day it was carrot and ginger soup. I had a really bad cold at the time so I thought the ginger might help! I can only describe the soup as a party in the mouth. Arriving in a very generous portion, the carrot in the soup was buttery and creamy in the mouth. The moment of swallowing the soup was when the ginger really hit you and was just enough to benefit the carrot. The soup was accompanied with some bread and a trio of different butters. 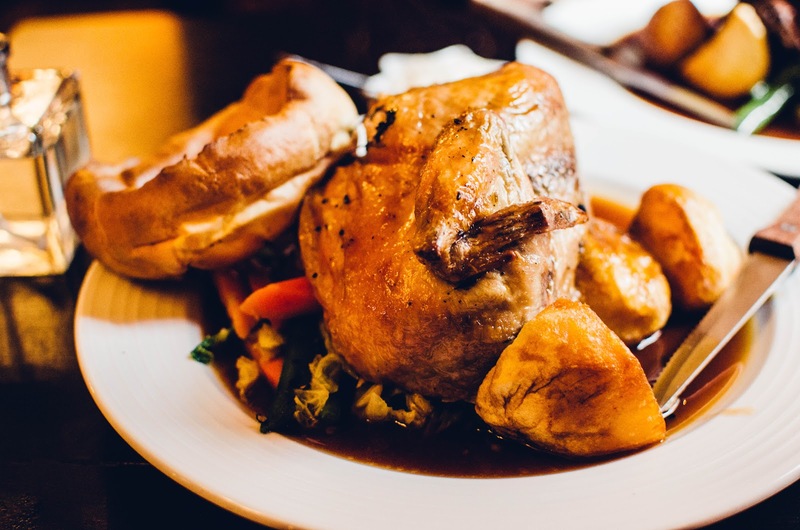 Next, it was time for our mains and of course, we totally ordered traditional Sunday roasts. I only eat chicken so went for the 1/2 Herb Rubbed Roasted Chicken and my mum chose the Roast Rib-Eye of Cumbrian Beef. The waiting time between both starter and main was perfect. Just enough time to let the soup warm up our bellies and settle; ready for more food. Again, both arrived in very generous portions served with goose fat roast potatoes, vegetable medley, cauliflower cheese, a HUGE Yorkshire pudding and gravy. I was surprised to see how much meat we both got. It was a generous enough portion for any fit man! We were both left feeling VERY stuffed and me in particular very chicken'd out! But... when you're in a restaurant, you can always make time for dessert can't you? Well, I can. Out came the dessert menus and I was pleasantly surprised that my all time favourite choice ever was on the menu! 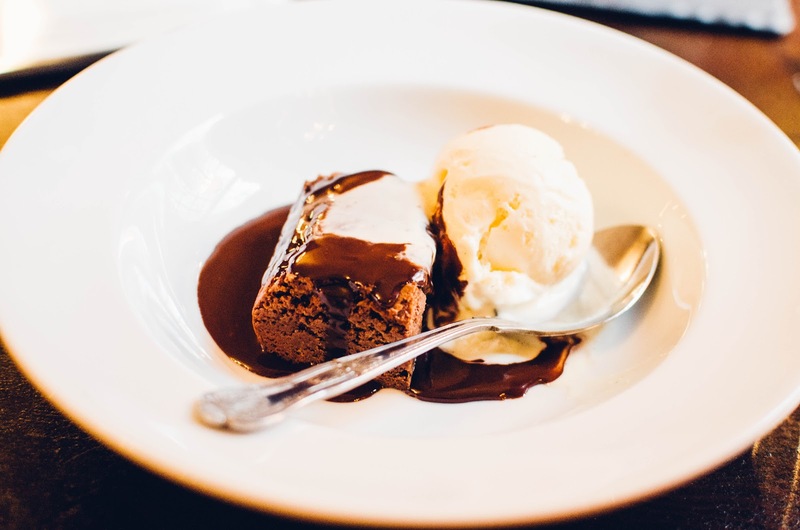 I went for the Downies Chocolate Brownie with homemade vanilla pod ice-cream. In all honesty, I don't really need impressing when it comes to chocolate. If it's chocolate; it's a thumbs up from me! I am very pleased to say that the brownie hit all of my expectations. It was just the right portion size, sitting in a puddle of hot chocolate sauce. With added chocolate chips and the home made vanilla pod ice-cream; I definitely made the right choice! 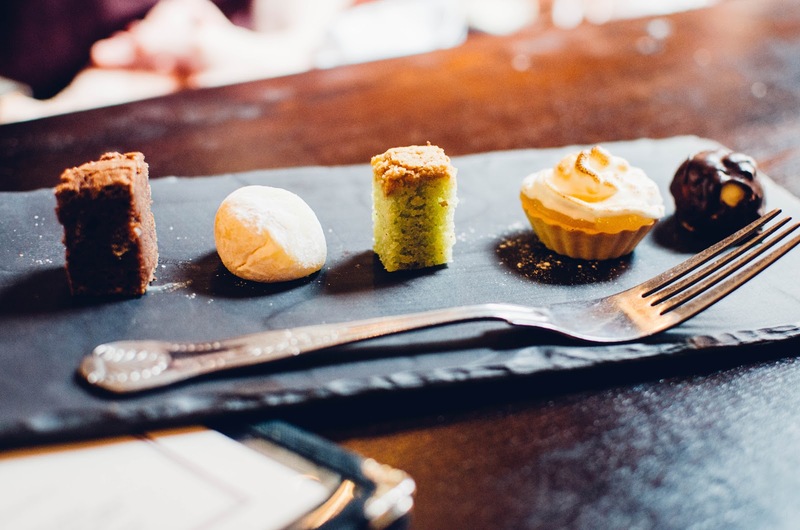 My mum went for something a little more special and classy; a slate of different mini desserts including a super cute little lemon cheesecake, chocolate brownie and profiterole. They were beautifully presented and are apparently the most popular dessert on the menu! 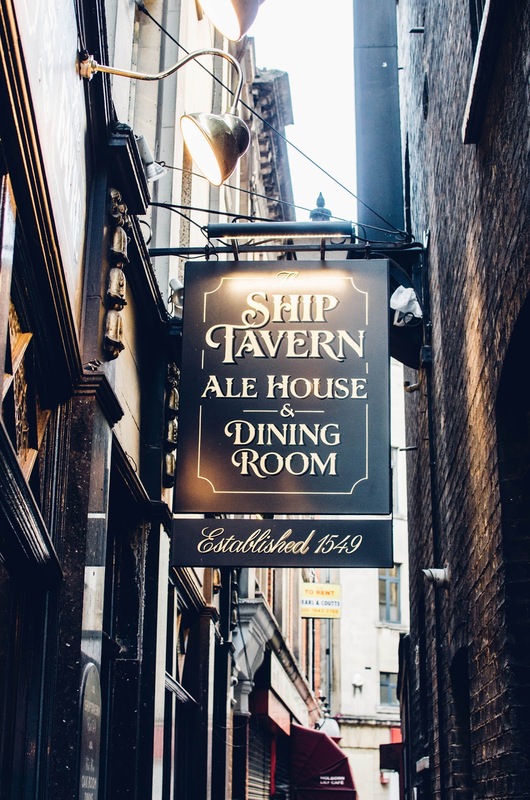 All in all, we left feeling very satisfied with the food and service that we received at The Ship Tavern. My parents are already in the talks of booking a table for dinner in a couple of weeks time so that's always a good sign, isn't it?! 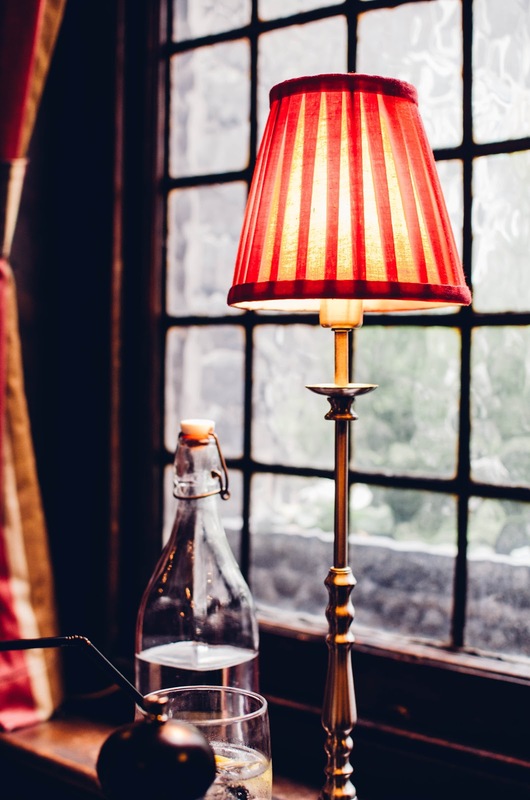 I myself will definitely be returning in the near future too for good food in a cosy pub setting. Disclaimer: This is a restaurant review. Dinner for me and a +1 was offered in exchange for an honest review on my blog. As always, all opinions and photographs are my own. I definitely recommend this place! 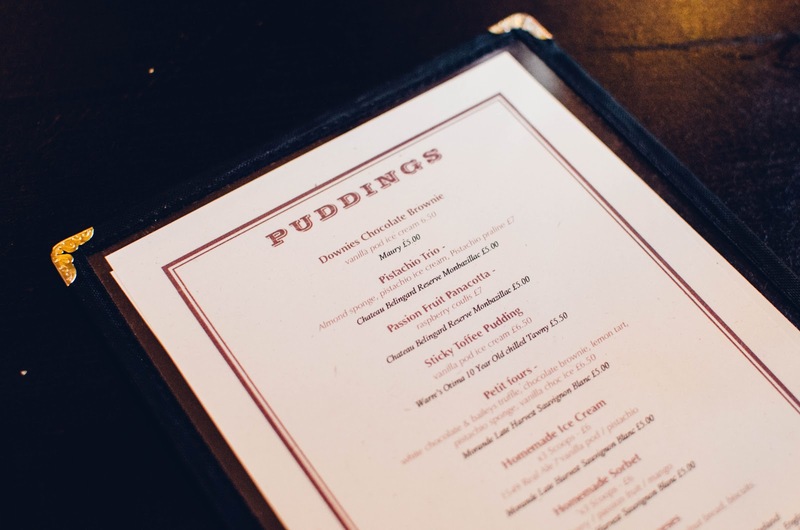 Oh wow what a stunning old world pub in the heart of London - love this and that food looks amazing - especially the desert! 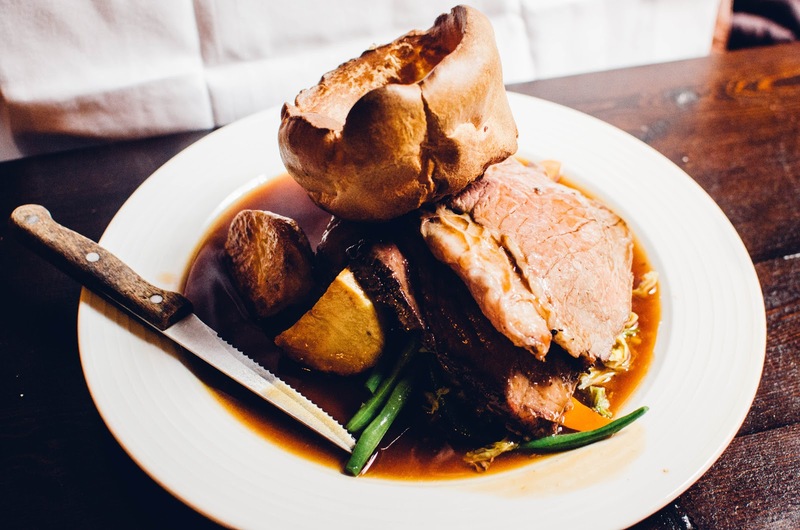 Nothing beats a good Sunday roast and the food here looks so delicious! What a great little find :) I'll definitely be visiting here in the future. 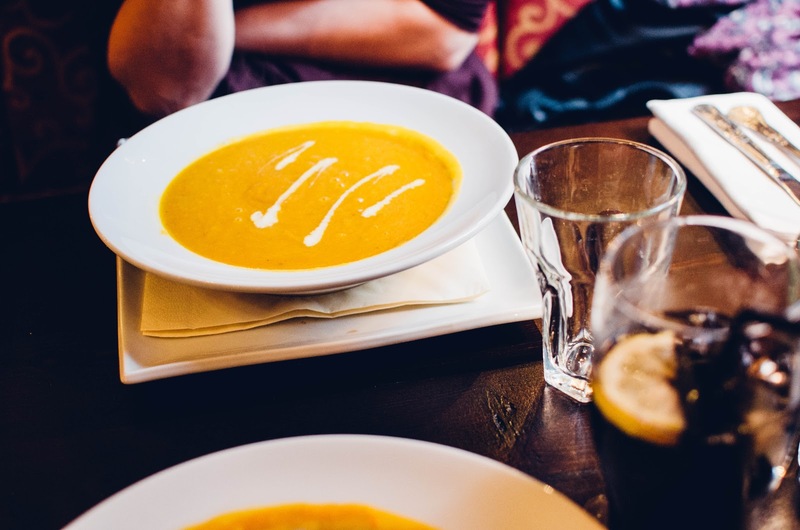 The carrot and ginger soup! And That Yorkshire pud! Everything looks so good and I love your images! Fab post! Wow, that looks so nice! Can't beat a good pub lunch, especially in such a cool historic building!